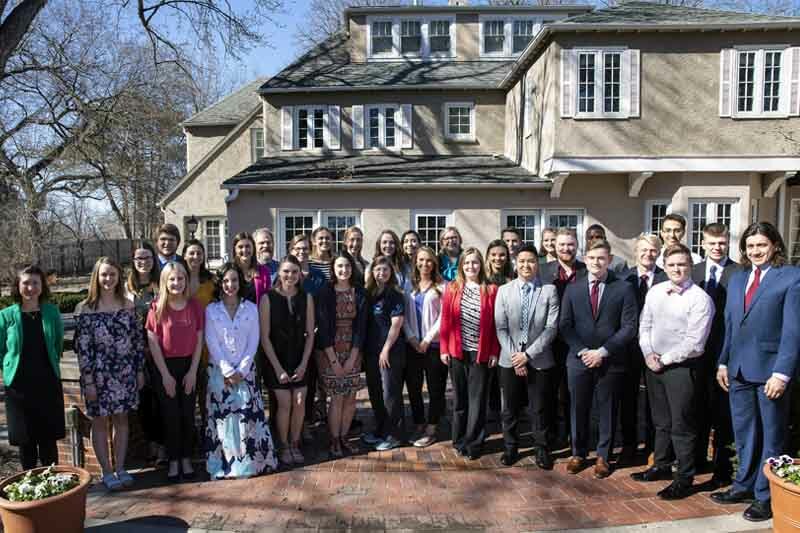 On Monday, April 8, a new class of inductees to the Phi Kappa Phi honor society were welcomed into the University of Nebraska at Omaha's (UNO) Corinthian Chapter of the 112-year old national honor society. The event, which welcomed new UNO student, faculty, staff and alumni members, took place at the Thompson Alumni Center and featured a guest keynote by UNO alumnus and Phi Kappa Phi inductee Buey Ray Tut. Tut, a 2008 UNO graduate, is the co founder and executive director of Aqua-Africa, a non-profit dedicated to transforming the way aid is administered to underdeveloped nations and to provide access to clean water in East Africa. Phi Kappa Phi was founded in 1897 and is the nation's oldest, largest and most selective honor society that crosses multiple academic disciplines. Members are selected for their academic excellence with junior inductees needing to rank in the top 7.5 percent of their class and seniors ranking in the top 10 percent of their class. Faculty, staff and community members who are not already members can also be so nominated for their academic contributions. UNO's Corinthian Chapter was founded in 1966, making the class of 2019 the chapter's 53rd class.